Knowing how to create a private post or page in WordPress can be very useful. By using this option, you can make your content visible only to yourself or certain user groups. In this article, you will learn everything about WordPress private posting including what it is, when to use it, how to set it up and how to share it with specific user groups. Let’s get started! 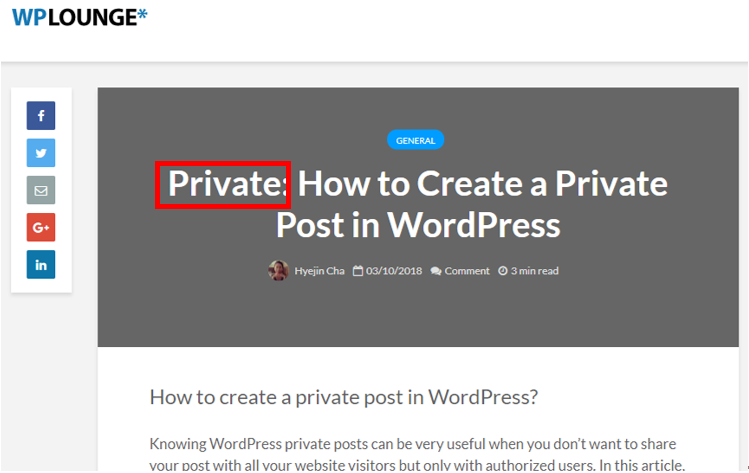 What is a “private post” in WordPress? 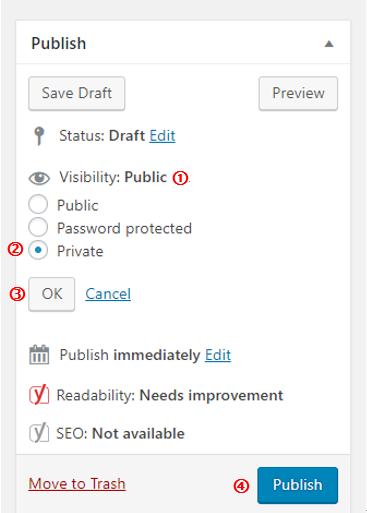 If you have ever created a WordPress post or page, you might see the “Visibility” option on the right side of the Edit screen. Once you click “Edit”, you will see three sub-options: Public, Password Protected, and Private. 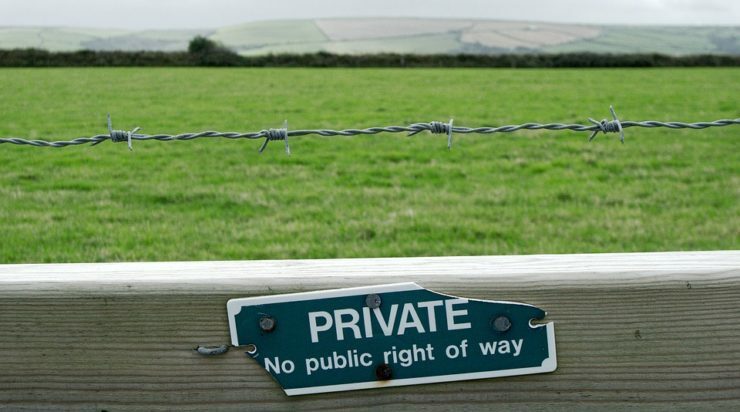 “Private” allows you to show your blog post to only logged-in users with sufficient access rights. In other words, anybody else can’t see the content. This function can be used for certain situations like sharing information for internal use or testing your page/post in a live environment without opening it to the public. Imagine you have made a web page for a new product that has not been launched yet. You might want to test it in a live environment while involving some important stakeholders to get their feedback. In this case, you can publish your page privately so you can share the page only with specific user groups that you choose. Before moving on to creating a private post, I would like to briefly explain the user role system in WordPress. In WordPress, there are different user roles with different permissions and capabilities to manage the website. Some of the key roles are described below. Has full control on the website including access to add new users, change site settings and install plugins. Able to create, edit, publish and delete any posts including private posts created by any user. Has full control on the website content excluding access to add new users, change site settings, etc. Able to create, edit, publish and delete any posts including private posts created by any user. Has full control of their own posts only. Able to create, edit, publish and delete their own posts. Not able to see private posts created by other users. Now that you have a clear understanding of the different roles, we can finally create a private post in WordPress, which is very easy! Go to post or page edit screen. On the left side, you will see “Edit” link next to “Visibility”. Please click “Edit”, select “Private” and then, press “OK”. Lastly, click the blue “Update” button (if you create a new post, you can click the blue “Publish” button instead). Now, you have successfully created your private page! You can now either continue to edit your post or publish it. You can also double-check the privacy of your post by visiting your website. After publishing the post, you will see the post title starting with “Private”. This means only users with sufficient access rights can see your post. A quick way to see your website as a regular visitor is to open a private window (or incognito window in Chrome) and go to your website. You will see that the post is not visible. It is time to learn how to make your post visible for specific user groups. 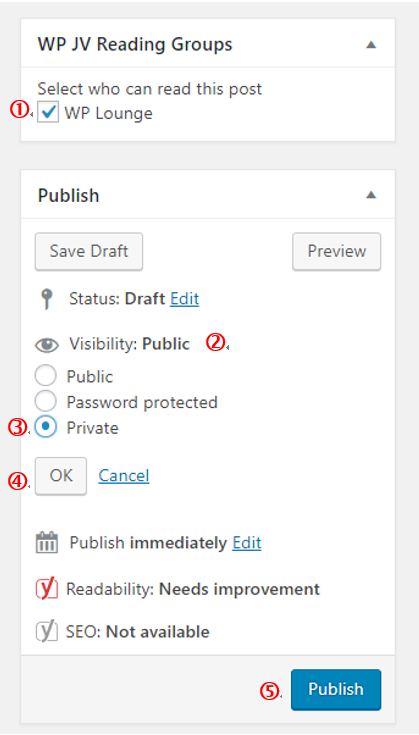 As I described earlier, by default, Admins and Editors can view private posts in WordPress. However, what if you want to share the post with a certain group of people such as your colleagues or friends? There is an easy way to do it. Go to the admin page and click Plugins>Add New. 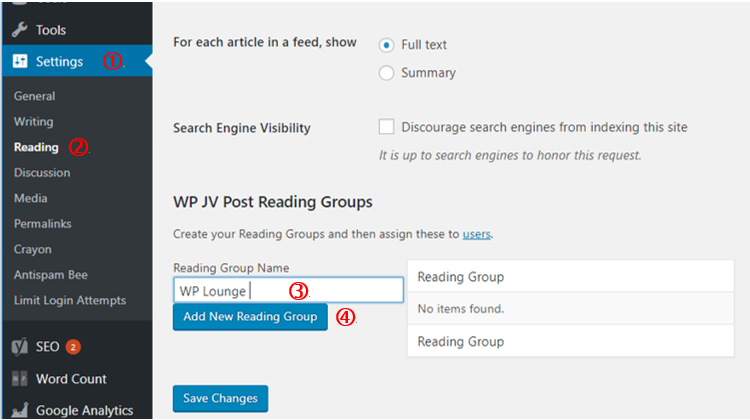 Then, install and activate the WP JV Post Reading Groups. After activating the plugin, go to Settings > Reading to create a reading group. You can start by entering a name for your reading group and then click “Add New Reading Group” to complete. If you want to create more than one group, you can repeat this process. To add users to your reading groups, go to “Users” and click the “Edit” button under the name of the user who you want to add to the group. Then, you will see the following page. In my case, I want to add my colleague to WPLounge group so I ticked the “WPLounge” group. Then, click “Update User”. Congratulations! You have completed your user group setup. Finally, let me show you how to share your private post with the user group. Now, when you create or edit a blog page, you will notice that new WP JV Reading group box is shown at the upper-left corner of your edit screen. Select the reading group that you want to share your post with. Then, click “Edit” next to “Visibility”, select “Private” and press “Ok”. Lastly, click the blue “Update” button (if you create a new post, you can click the blue “Publish” button instead). After these steps, your post will only be visible to the user group that you selected. That’s about it! Hope it was helpful. If you still have any difficulties in setting up or sharing your private post in WordPress, feel free to leave your comment below so we can help you accordingly!